Where do I begin when there are so many wonderful things to share from my enchanting vacation in Kennebunkport, Maine. The quintessential, early American coastal town with a beautiful chambray blue sky, dotted with cottony clouds, where fresh lobster was on every menu. The Kennebunk, Kennebunkport and Arundel Chamber of Commerce hosted my delightful trip to this charming destination. I loved it. Absolutely loved it. I kept overusing the word “cute”. “ Look how cute that is!” “What cute windows!” I actually adored the abundance of cuteness everywhere. Other attributes like architecture, American history, unique cuisine, and upscale, comfortable accomodations all appealed to my sensibilities as well. 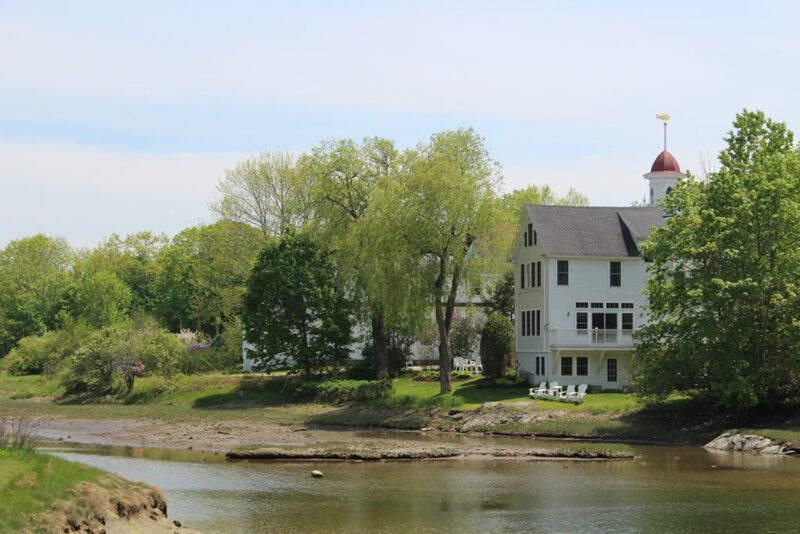 Founded in 1653, it is a picturesque small town just an hour and a half from Boston in Southern Maine where charm oozed from every portal and floated by on every street. 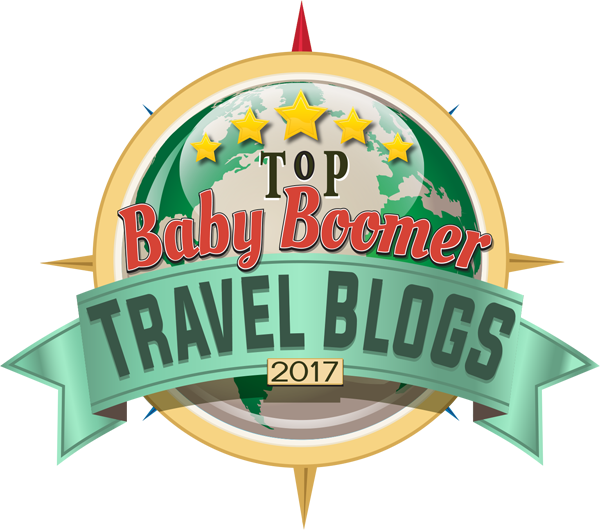 The purpose of my visit was to join a handful of other travel writers to view and experience various Inns and Bed and Breakfasts, hotels, restaurants and local activities. Pinch me, how fortunate was I ? During our three and ½ day visit, the generosity of time, energy, spirit and creativity was ever present. I could easily write a short book about my experience. 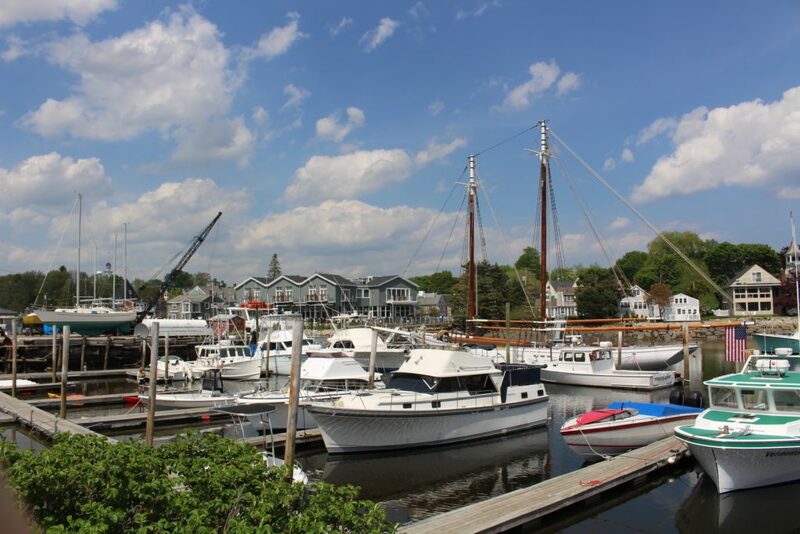 In Kennebunkport, there is an adventure for every foodie, shopper, beachgoer and outdoors enthusiast! The progressive dinner and walking tour started with cocktails at the first inn, then appetizers at the second, soup and salad at numbers 3 and 4 and then the final stop was dessert! The inns were all located very close to each other and made it easy to enjoy this adventurous evening. 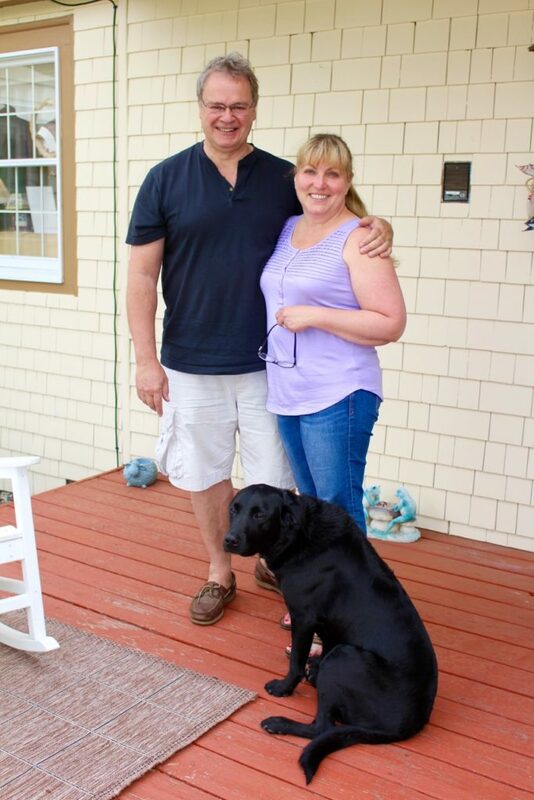 Dave and Kate Parisi are empty nesters who decided to make a major career change and move to Maine and buy/run an inn. Dave shared with me that the prior owner handed them the key one day and the next day they were in business. 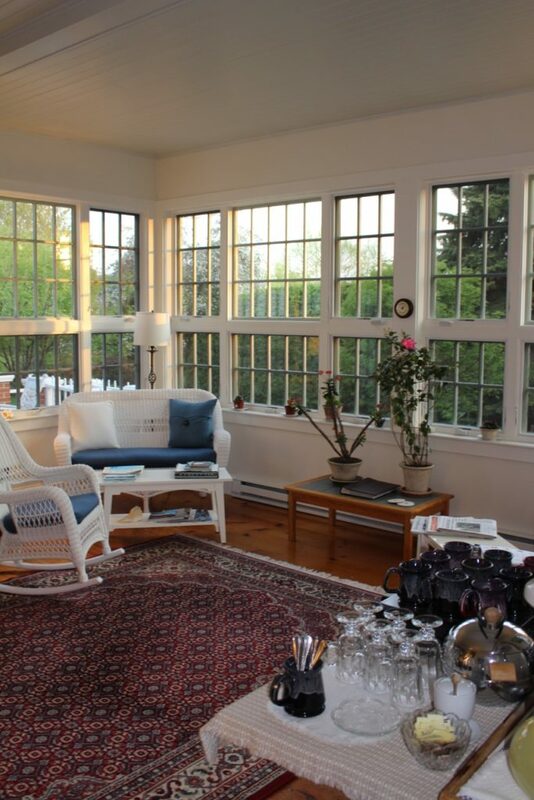 With their innate creativity and business savvy, they have continued to offer exemplary accommodations just a short walk from Dock Square in downtown Kennebunkport. 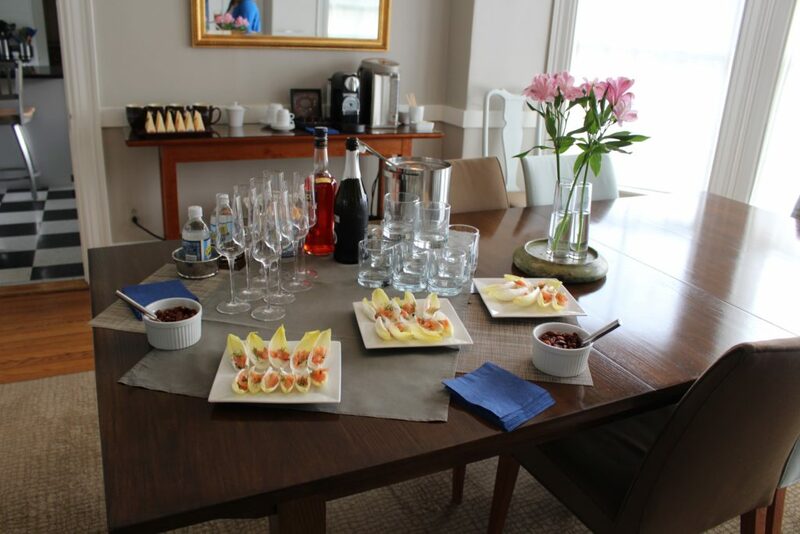 We sipped hand crafted cocktails and nibbled on endive with smoked salmon. The inn is luxurious, filled with light and it is decorated in a chic, contemporary design.The perfect place to relax, unwind and relieve that city stress! Teri and Roger (and dog Toby) are also empty nesters! I see a pattern here… The front of the house was built in 1802 which was where my room was located. 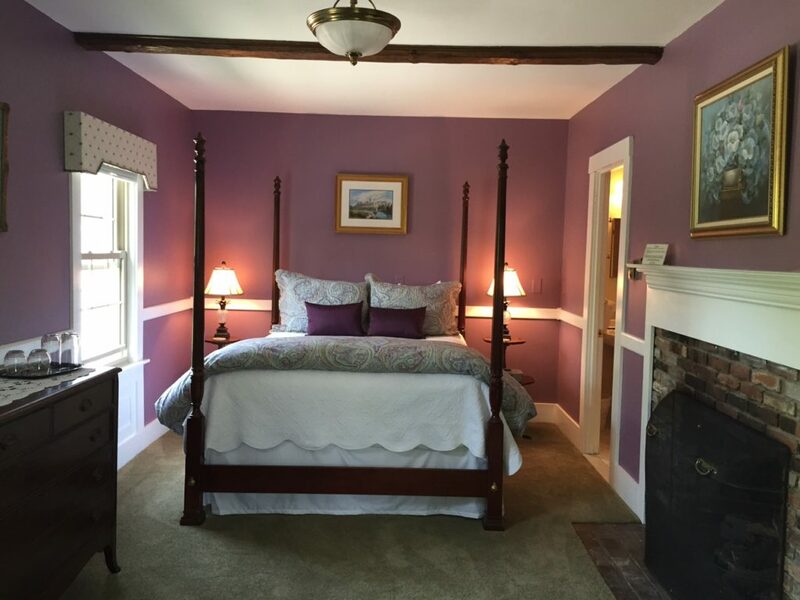 My guest room had lovely lavender walls and original wood beamed ceilings, a fireplace, views of the golf course and was all mine for the duration of my stay. Teri, an American, married Roger (a Brit) and raised their family in England. 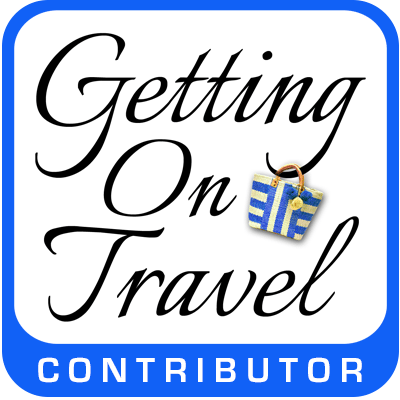 After vacationing in Kennebunkport, they decided a midlife adventure was in order. 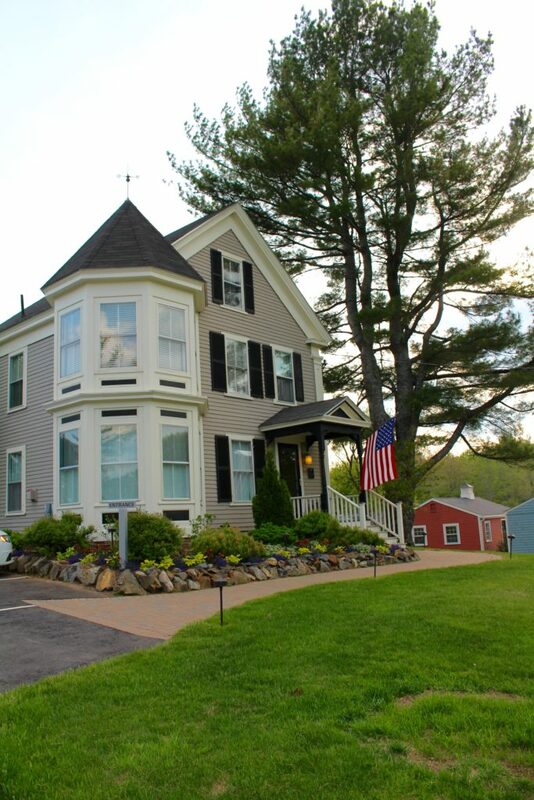 They purchased the B & B, renovated most of it and she has created (in my opinion) the perfect lobster roll. 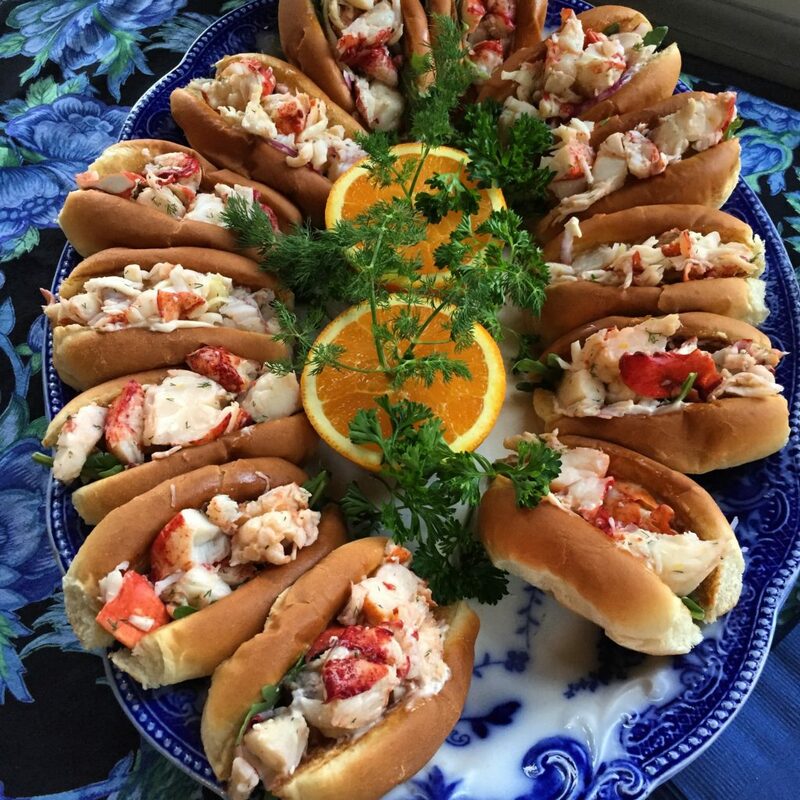 Come back on Thursday for a special post devoted to the charming 1802 House Bed and Breakfast and Teri’s Lobster Roll Recipe! 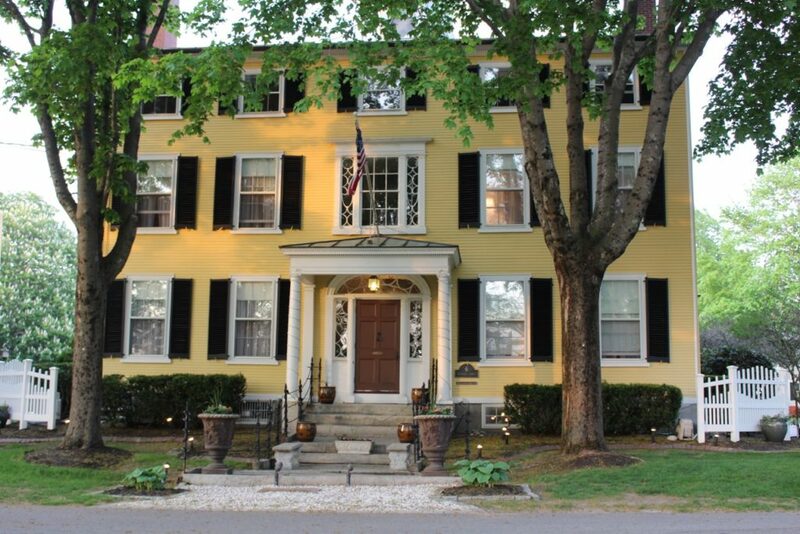 Originally built for a sea Captain Jefferds, his wife Sarah and their eleven children, it is a grand and glorious inn with 16 rooms (5 that are pet friendly) that is happily cared for and owned by Sarah and Erik Lindblom. 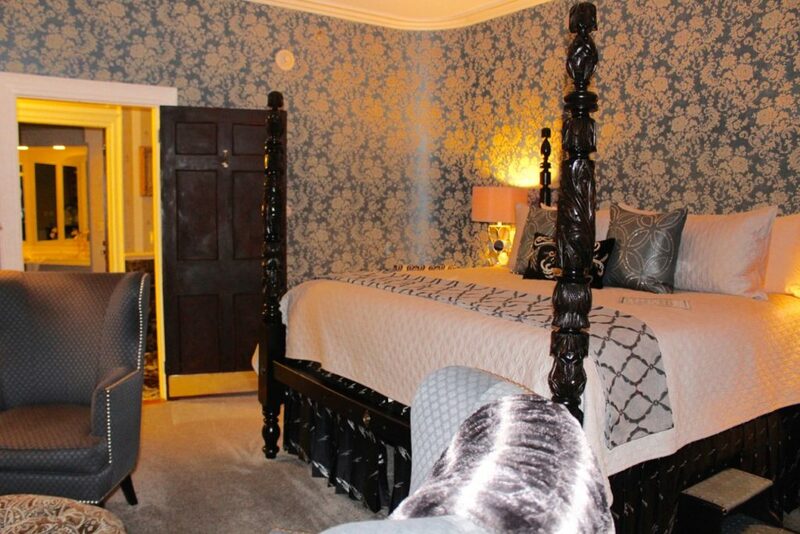 All of the rooms are lovely and quaint with private bathrooms and fireplaces. 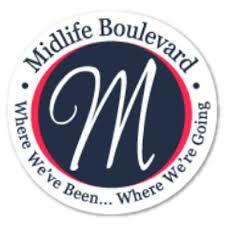 They offer many personal touches like a helpful concierge service and a bottomless cookie jar! We stopped in for divine homemade clam chowder, delightful wine and lively conversation in the beautifully decorated dining room. 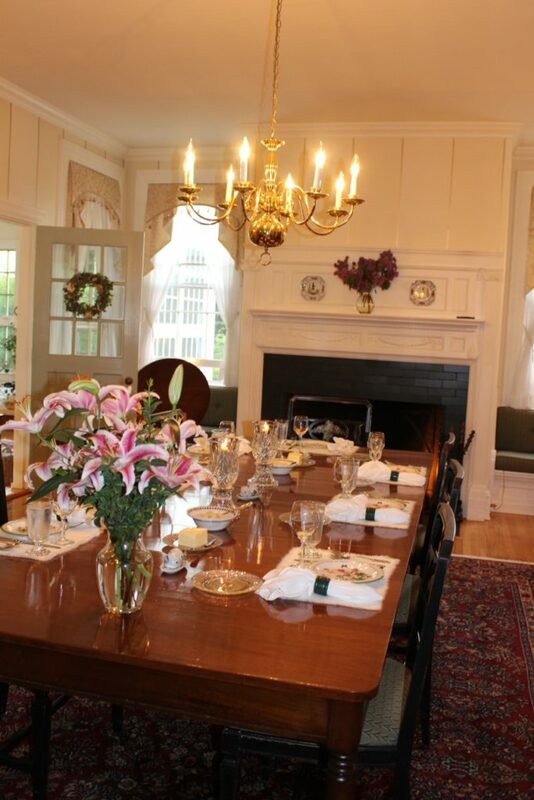 Celebrating 200 years, the historic mansion has been owned by Rick Litchfield and Bev Davis for 37 years! 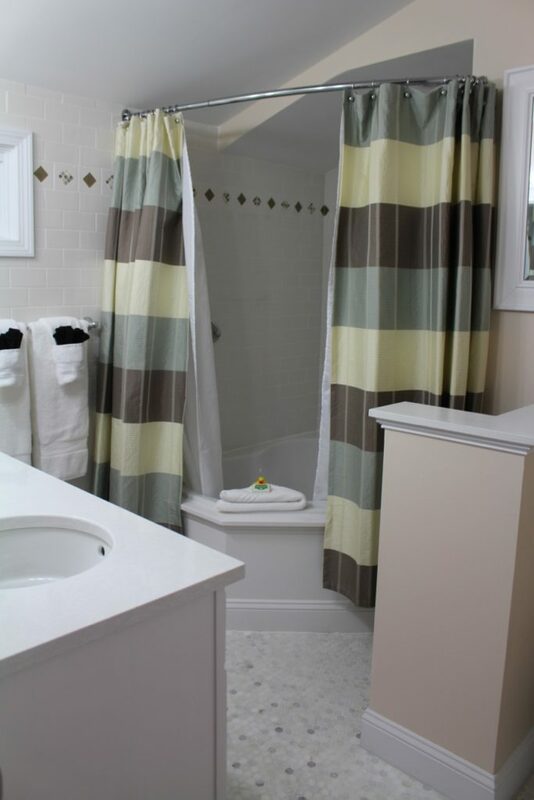 Over these three plus decades Rick and Bev have meticulously renovated, updated and redecorated the entire magnificent property. They entertain couples, families and celebrities too (Quentin Tarantino had just checked out, but you didn’t hear that from me). 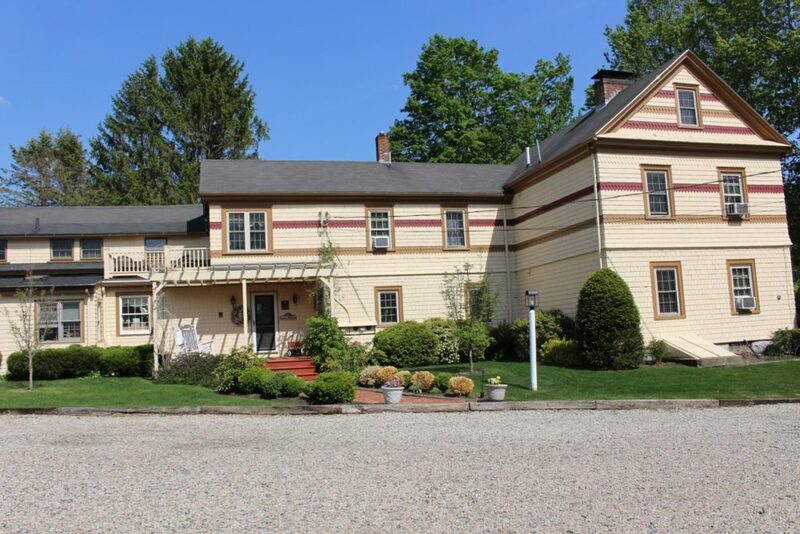 The Captain Lord Mansion shared the spotlight with the Captain Jefferds Inn by serving a delicious chicken (or steak) Caesar salad after the amazing New England Clam Chowder. We strolled into our last stop groaning from overeating, but excited to see this next property as well. 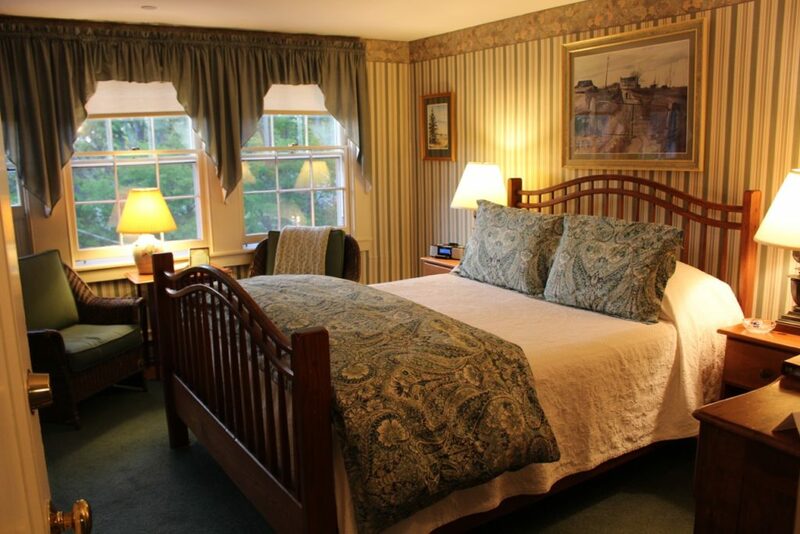 The architecture is very special, the interiors are so pretty and comfortable and run by innkeeper Judi. She is so welcoming and full of fun! 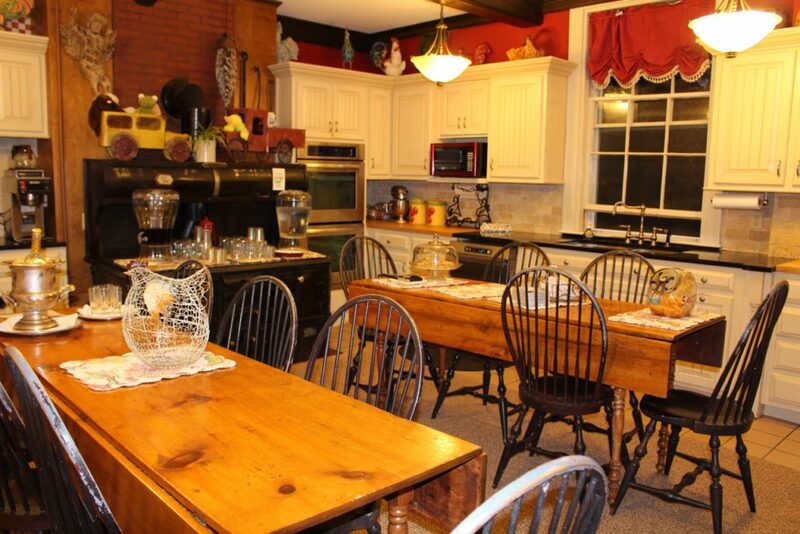 One attribute I especially loved about the Maine Stay were the individual cottages. From the outside they looked like average white cabins, but on the inside they were filled with luxurious extras and fashionable design. 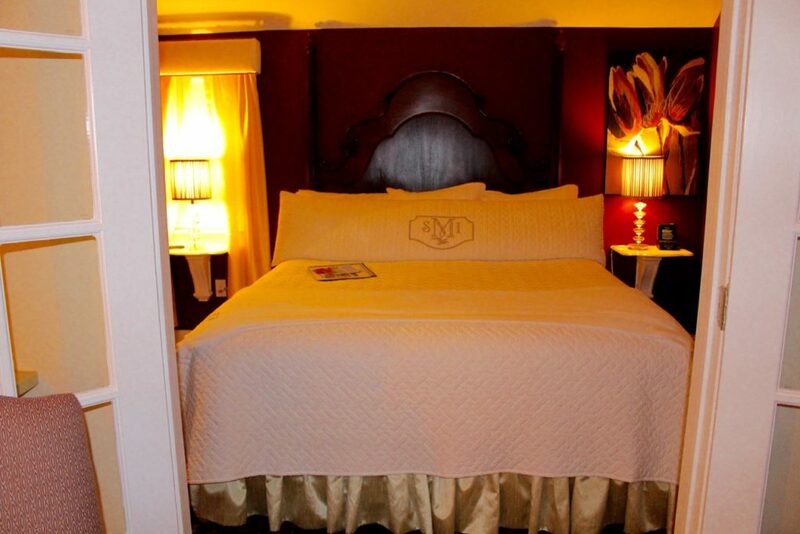 If privacy and quiet is what you desire, you must investigate the Maine Stay. It’s amazing. Maine is the lobster king of the universe. According to “Mainers” (those that live in Maine), there is no better tasting lobster on the planet and I can personally attest to this claim. 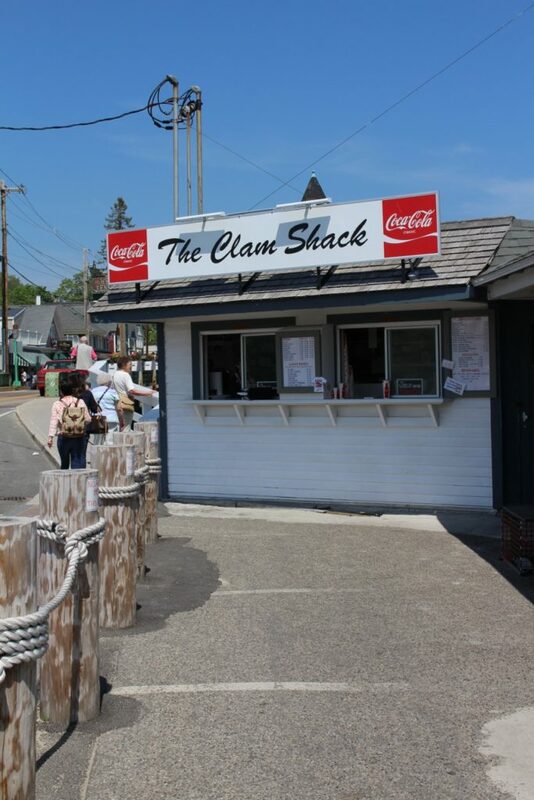 Just as you come into town you cannot miss the Food Network famous and Travel Channel’s winner of “Food Wars” tremendously popular restaurant, The Clam Shack. 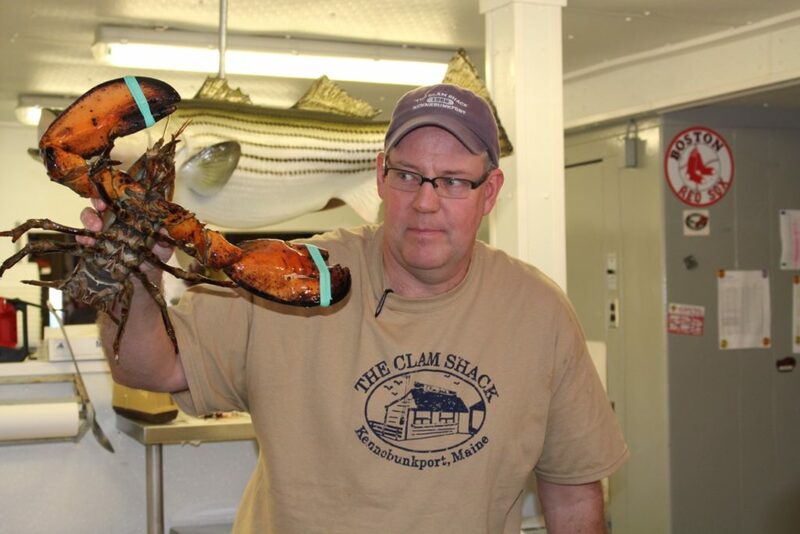 We were treated to an entertaining and informative lesson on “Lobster 101” by the friendly owner, Steve Kingston. 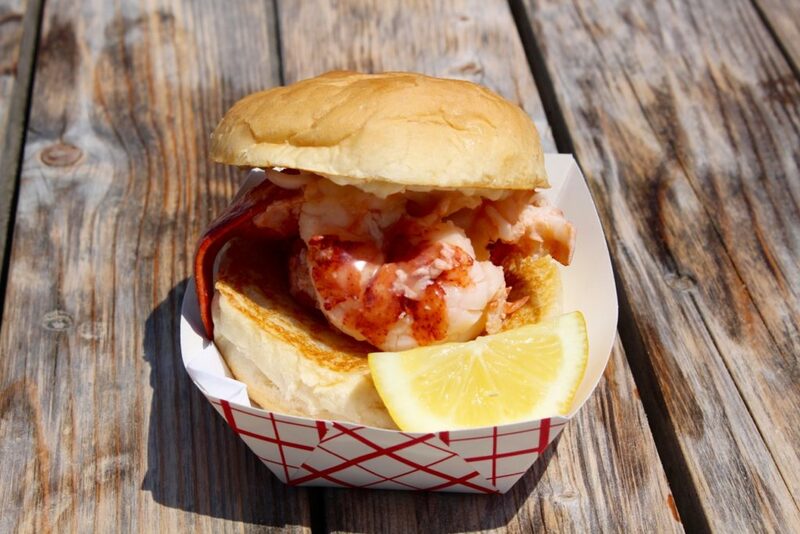 We sampled delectable, freshly caught, Maine lobster and later went back for the famous roll! In Kennebunkport, the fresh seafood is plentiful and the restaurant chefs focus on local Maine ingredients, sustainable fishery and all within restaurants with views to die for. 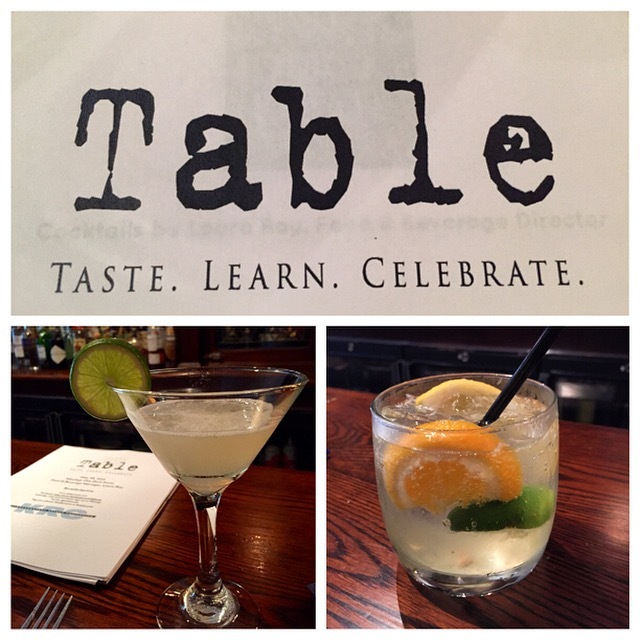 We attended a personal Mixology class taught by Table at the Kennebunkport Inn, where we made a French 75, an Old Fashioned and a Watermelon Infused Daiquiri. 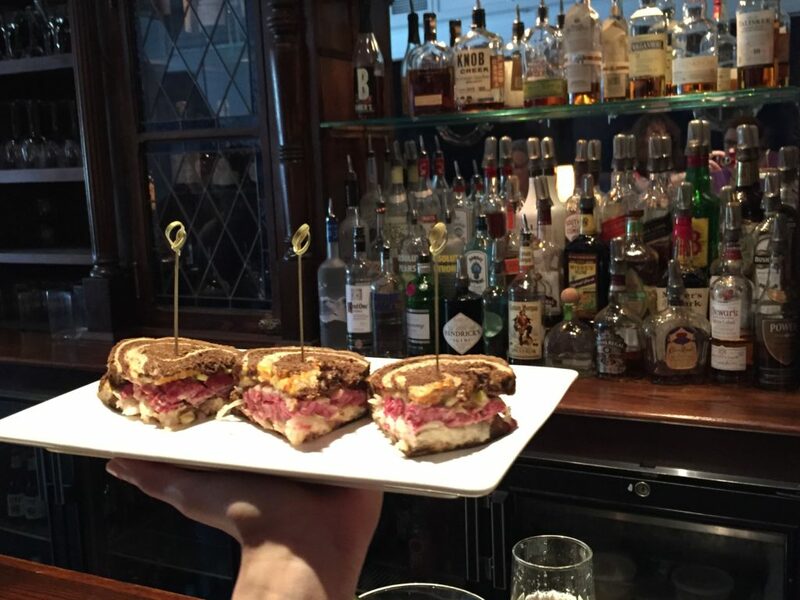 Housemade Rueben sandwiches to go with our drinks! 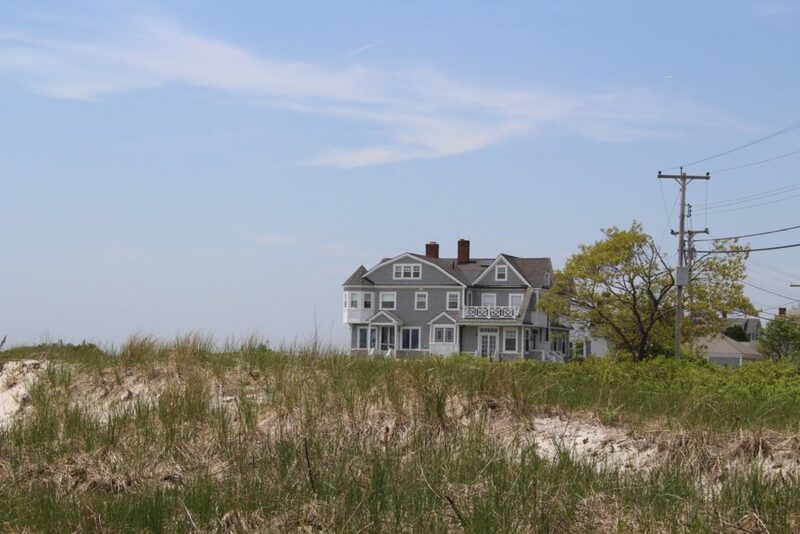 Everywhere I turned I marveled at the massive, shingle-sided, coastal “summer” homes, as well as colorful Colonial houses with freshly painted front doors and flowering hanging baskets. 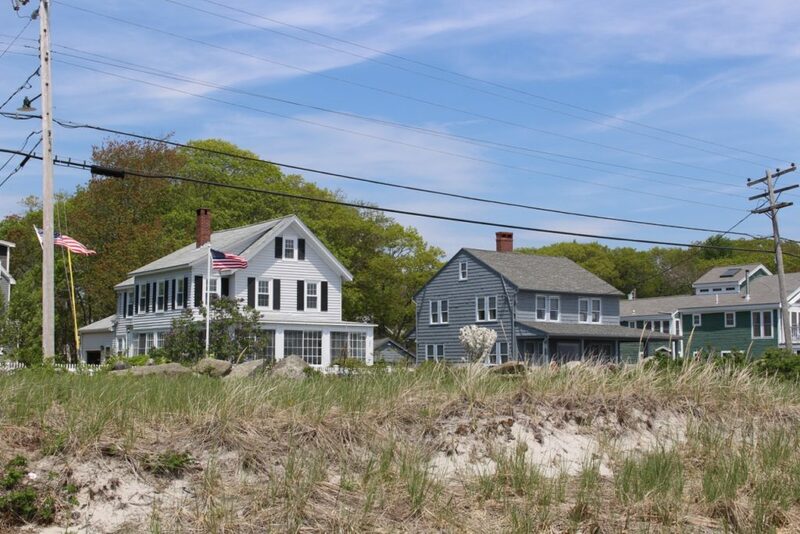 The pristine, sandy beaches and smiling, friendly Mainers from “The Kennebunks” are added bonuses. 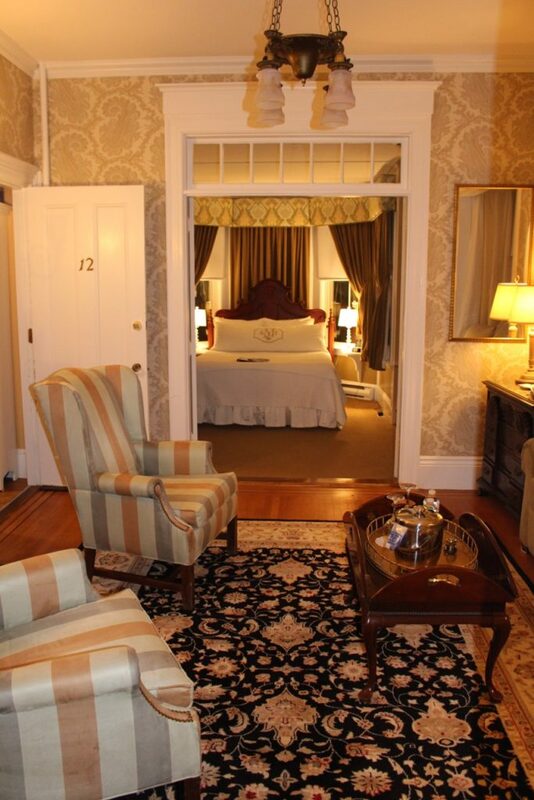 This is a magical place that I cannot wait to return to see my new friends from Maine, sample that delicious New England cuisine again and stay at one of the many incredible hotels. Have you checked your calendar yet? 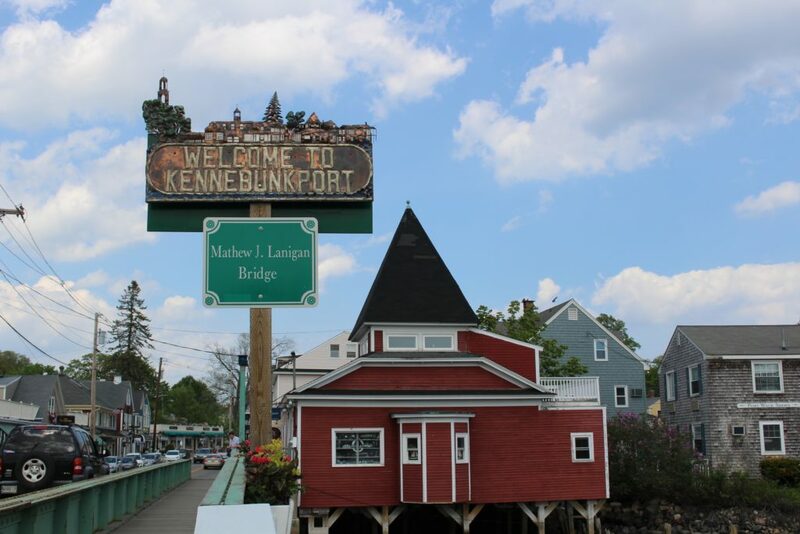 The good news is that you can visit Kennebunkport anytime of year. Leafpeeping in the Fall is a “must do” with pumpkins adorning wood porches and trick-or-treaters ringing doorbells by the droves. Summer is high season, there is plenty to do and the weather is very warm and sunny. The winter is a bit challenging and cold, but the locals celebrate with Christmas Prelude, which takes place the first two weekends in December. The whole town twinkles with thousands of lights. Sparkly Christmas trees and decorations are everywhere and Santa arrives on a lobster boat… of course! Come back later this week (and next week) for more from my visit to the incomparable Kennebunkport, Maine. 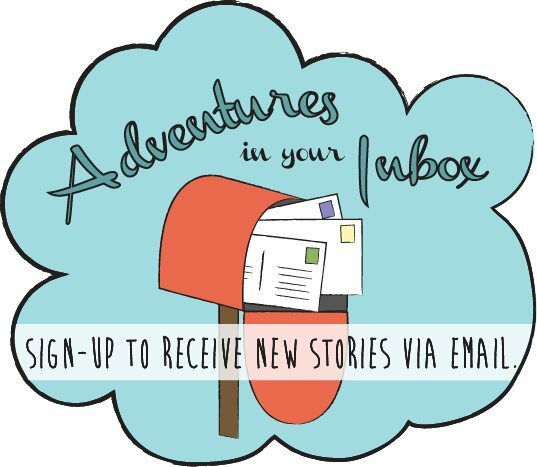 I have so many more delightful and delicious tidbits to share! 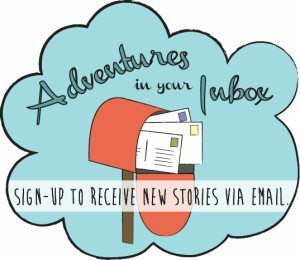 A glorious sail around the harbor and out to Walker’s Point (the Bush family compound) more foodie talk, beautiful hotels and incredible views you will love to see. Take a seat here and enjoy the view while you wait. 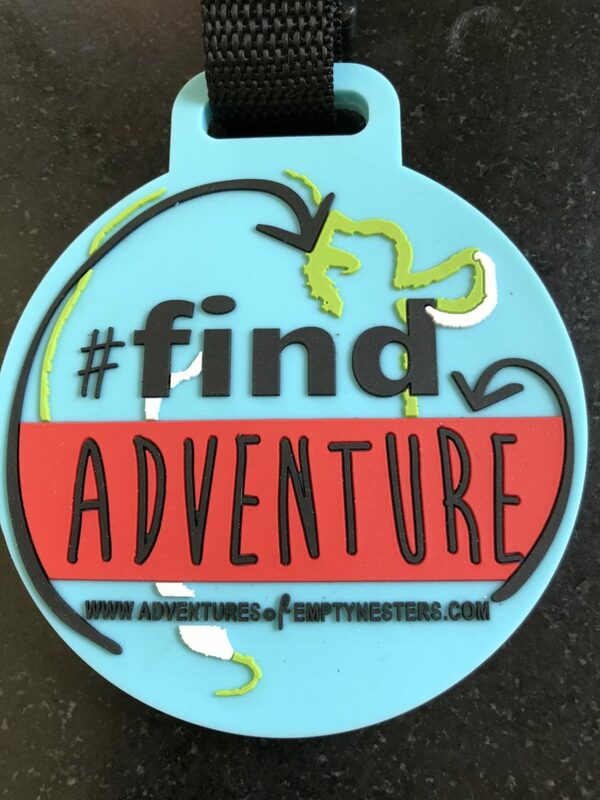 PS ~ Don’t forget to buy a couple of Find Adventure luggage tags for your next adventure! Click ===> HERE to BUY! Wow! What a great trip! I’m ready to go! Tam Warner Minton recently posted…The Sun is Finally Shining in Texas! Tam, it was amazing! Let me know if you decide to go! I so love Maine, and spent happy times up the road a piece from Kennebunkport on Southport Island outside of Boothbay Harbor. Maine is Minnesota with ocean, which makes it pretty close to paradise in my book. And you’re right, any season is absolutely gorgeous (even winter). Your photos convey the quintessential downeast vibe. Thank you Betsy! I thought Kennebunkport was a magical place. EVERYTHING about this trip looks amazing. All of the accommodations and especially the lobsters.. Thank you Vicki! It was AMAZING! I appreciate you reading and for your comments. Kat is it so great hear that you had the same experience I did! 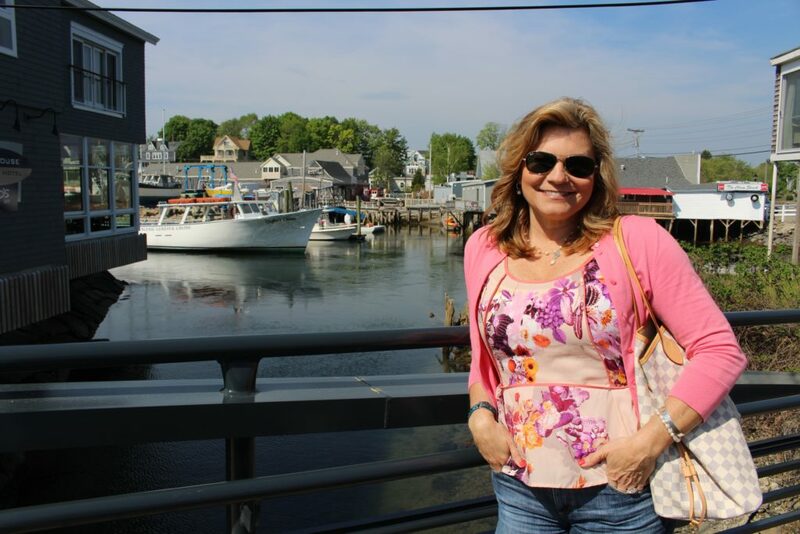 Kennebunkport is adorable, peaceful, blue skies with delicious food. I love it all. 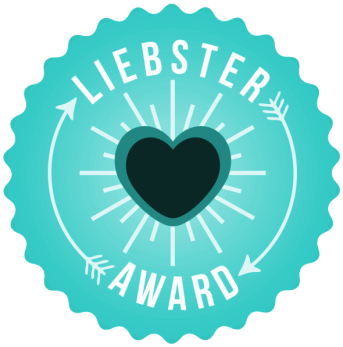 Thank you for your comments and for reading! We only passed through Kennebunkport once. Looks like we need to go back and stop off for a little while, in nothing else, for the Lobster. Yum! 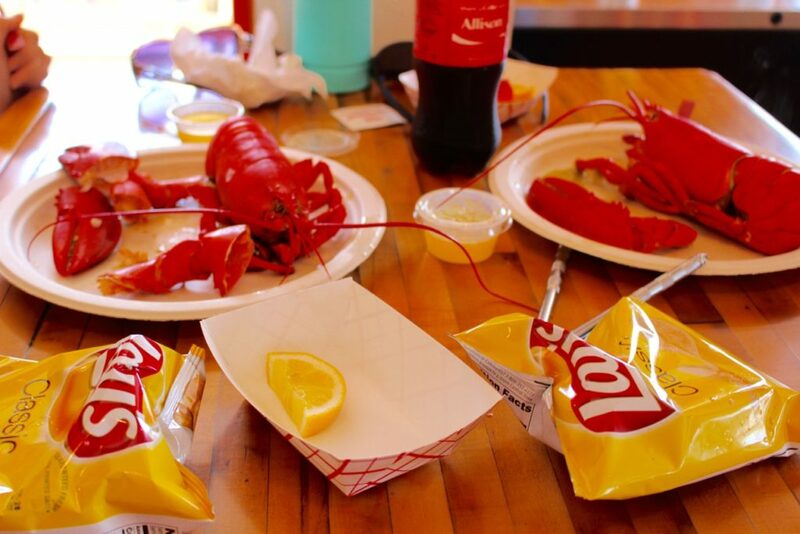 Oh boy – You need to go back – The lobster is delicious, but the town is so charming! 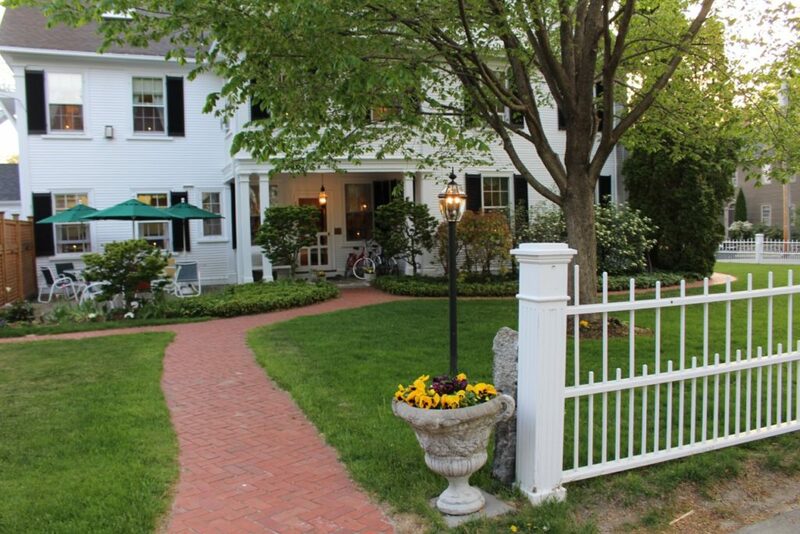 The food and historic bed & breakfasts look great, and I would love a Kennebunkport vacation. It reminds me of our visit to Nova Scotia a few years ago. Great photos. Shelley, you should make plans to go it is a magical place! Haven’t been to Maine in many decades, but your post brings it all back. Those lobster rolls look define. We then out here in CA but there is nothing like eating them fresh, right after they have been caught. Heidi it will be interesting to try lobster rolls on the West Coast! As I am reading your post about Kennebunkport, I am eating lobsters (probably from Maine) in Nantucket! What a treat! 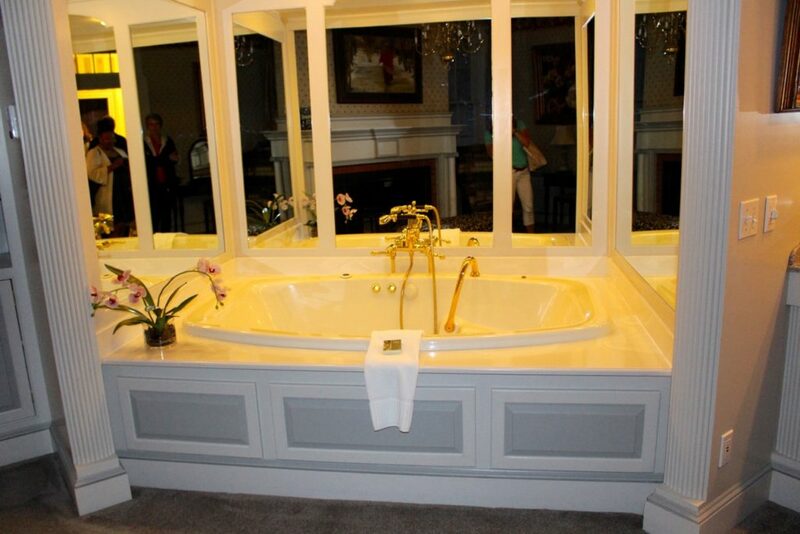 These inns look so inviting and meticulous! I’m glad you got to experience some of the magic of the East coast! Thank you Irene, I bet your Nantucket lobsters are delicious!I don’t spend much time in New England although I have been twice in two months! I love it there! 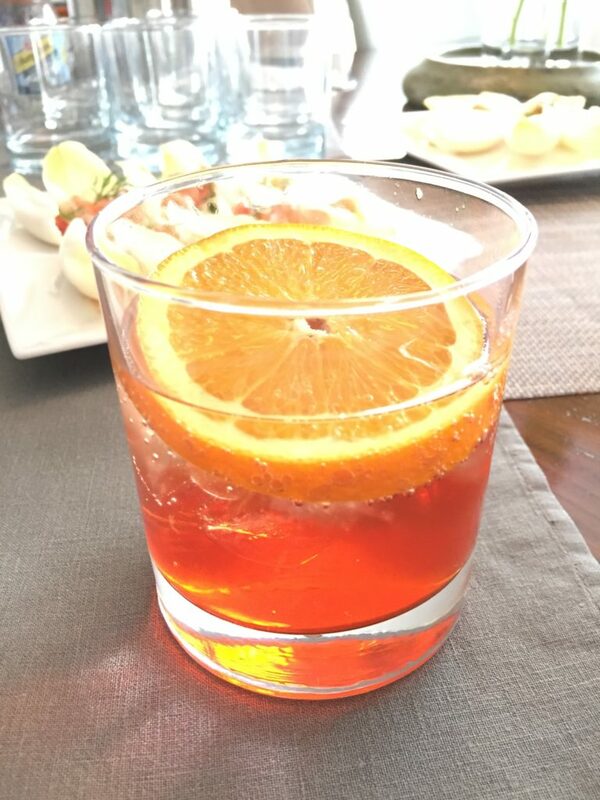 Carole, those Italian spritzes are everywhere. They are so chic! I am going through lobster roll withdrawals! 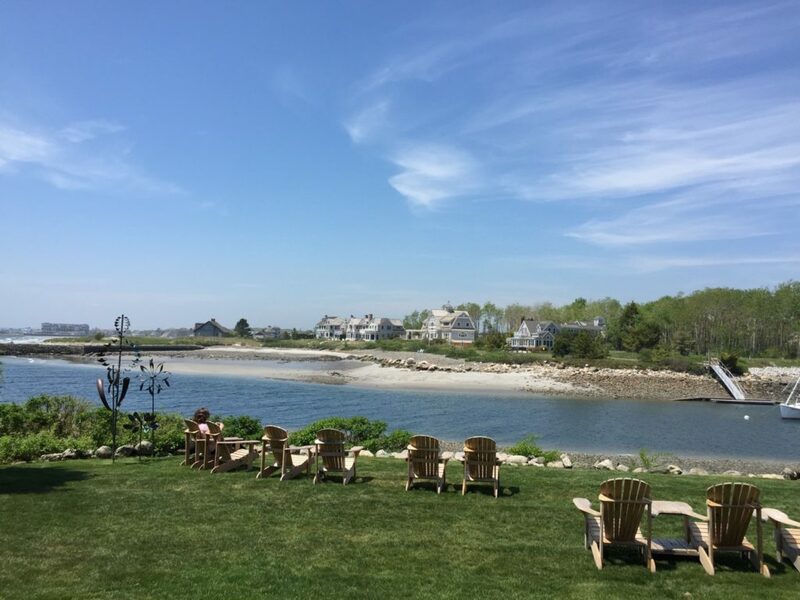 Such a great post, you’ve captured the Kennebunkport experience perfectly. Thank you Annette! I really enjoyed getting to know you and I hope we get to travel with each other again soon! I can understand your use of the word cute in Keenebunkport. All of the inns look delightful. I’d be happy to stay at any one of them. 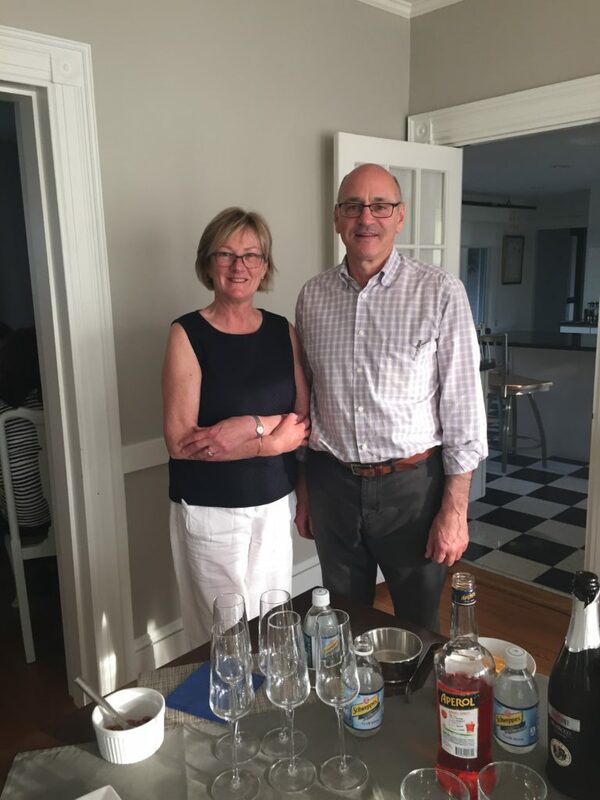 Love the photos – since I was there with you, I heartily agree that Kennebunkport is a must-see destination for foodies, nature lovers and people who love to relax and enjoy the good life! Christmas Prelude sounds like a great time to visit. It’s also a time when some of the local merchants have sales – what could possibly be wrong with winter beauty, Christmas fun and great shopping opportunities? Thank you Nancy! Yes you were and I thoroughly enjoyed meeting you!Christmas Prelude does sound enticing doesn’t it? Thank you for letting me know. I would love to go back to Maine!